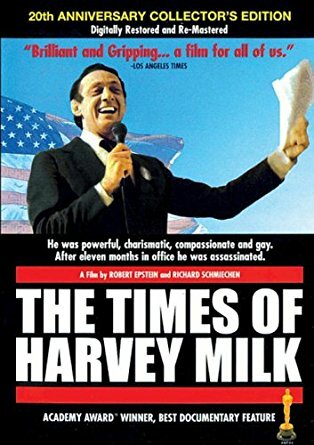 Brief Synopsis – Documentary about the life and legacy of politician Harvey Milk who was brutally gunned down by a fellow politician just because he was gay. My Take on it – I’ve been interested in seeing this film for quite some time and the fact that I recently rewatched Milk (2008) reignited my interest in watching it. This film gives us a clear view of the life of Harvey Milk and shows how he was able to affect change both in life and in death. When this documentary came out in 1984, it was quite groundbreaking and it was able to win an Oscar for Best Documentary that year. They do a great job telling this story and I really loved the way that it start from the end of Milk’s life and then tells his story in a sort of flashback kind of way which works quite well. This is a great companion film to watch along with Milk (2008) because they both tell the exact same story but from slightly skewed perspectives which helps give us more information on the overall storyline. Bottom Line – Really interesting documentary that gives us a clear view of how Harvey Milk was able to affect change both in life and in death. This was a groundbreaking documentary for its time and was able to win an Oscar for Best Documentary feature. Really loved the way that they tell the story by starting out with the end of it all and then it goes back to tell the backstory. Having also seen the film Milk (2008), this is definitely a fascinating companion piece. Recommended!